Our Farm is a unique partnership between Grower and Chef. In working hand in hand to supply as much as possible to our restaurant partner, The Anchorage, we benefit from the relationship and feedback from our counterparts in the kitchen. Our Hope is that this unique perspective will allow for more diverse and delicious produce in our local area. 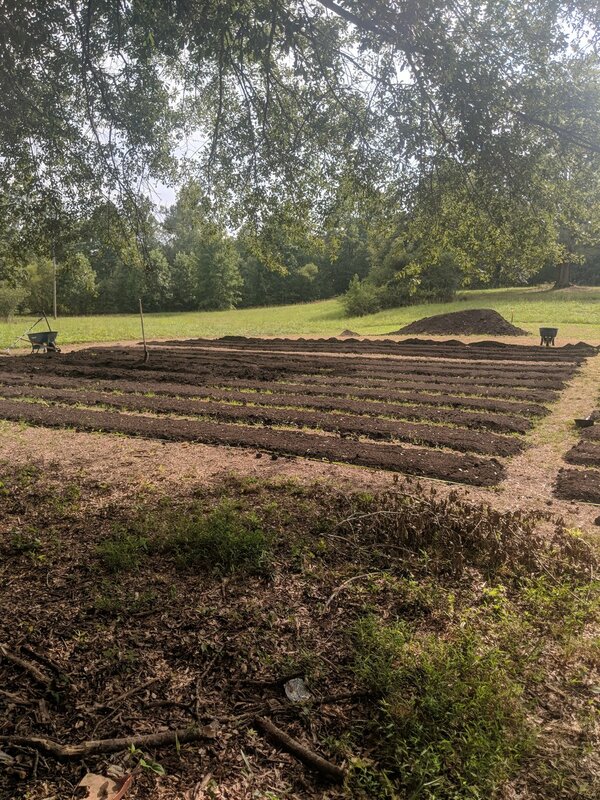 Nestled on a pristine 21 Acre Plot minutes from Downtown Travelers Rest Our Farm is surrounded by natural water sources, biodiversity, and unscathed woodland. While we are an operating production farm the goal is to protect the natural balance of the surrounding land. Using organic practices and embracing modern techniques we aim to work hand in hand with nature to ensure our farmland is healthy.